Canada's largest annual wind energy operations and maintenance (O&M) event showcased rapid improvements in O&M and the presence of a strong culture of health and safety in the wind energy industry. 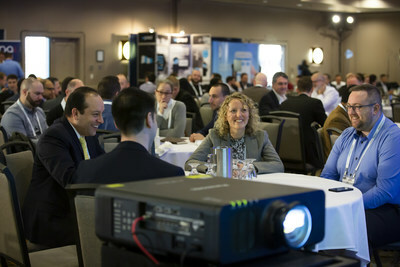 More than 260 wind energy professionals from across Canada and the U.S. attended the two-day Canadian Wind Energy Association (CanWEA) O&M Summit, held January 29 and 30 at the Hilton Mississauga. highly-interactive sessions between speakers and participants on subjects such as protecting bats, the implications of new cannabis legislation, and the latest developments in health and safety. At today's 2019 O&M Awards Breakfast, the winners of the CanWEA awards for excellence in health and safety and innovation were announced. TECHÉOL inc. was presented the O&M Outstanding Achievement Award, while Vestas Canadian Wind Technology was presented the Health and Safety Excellence Award. Other companies recognized as finalists for the awards were Capstone Infrastructure (Outstanding Achievement) and Kruger Energy Port Alma LP & Chatham LP (Health and Safety). The O&M Summit also featured 25 wind energy exhibitors showcasing their products and services in the largest-ever exhibit space for the annual O&M event. 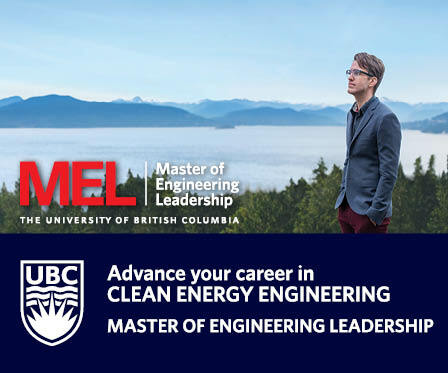 "As Canada's wind energy industry continues to expand, and the significance of O&M in the industry's success and evolution increases, there are many benefits to convening more than 260 industry leaders to connect and discuss operational issues and improvements, examine innovative tools and techniques, and continue the promotion of health and safety excellence. These owners, operators, manufacturers and service providers are key contributors to wind energy's status as the most economical option for new non-emitting electricity generation in Canada." "Canada's wind energy industry has created over 58,000 person-years of employment in construction and operations, bringing green jobs to nearly 300 communities. 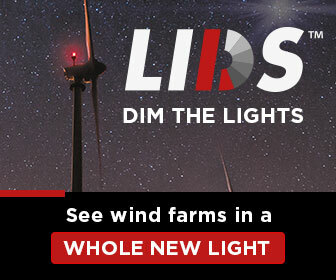 The wind power sector has been the largest source of new electricity generation in Canada for over a decade, and our Vision for the industry calls for continued steady growth as Canadians turn to clean and low-cost power to meet an increasing need for a flexible, reliable and carbon-free electricity grid. As the penetration of variable generation sources like wind energy on the grid increases, there is a critical role for a thriving and innovative operations and maintenance sector to help ensure the efficient delivery of the full range of products and services non-emitting resources can provide to ensure the reliability of the grid both solely and in partnership with other technologies like solar, hydro or storage." "Siemens Gamesa Renewable Energy is delighted to be the title sponsor of this year's CanWEA O&M Summit. Like CanWEA, Siemens Gamesa sees safety and performance optimization as integral to the industry as our installed base grows. As a global technology leader, SGRE provides our customers with leading edge performance and production enhancements to help them achieve the lowest cost of energy. We make real what matters – clean energy for generations to come." 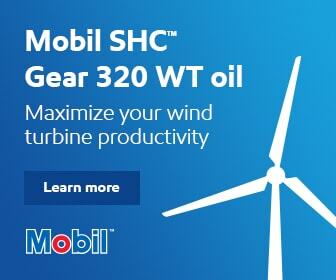 "IHS Markit was so delighted that CanWEA invited us to speak at the Wind Energy O&M conference. The benefit of having so many decision-makers in one room is clear, and will only become more valuable as O&M garners more of the energy spotlight. The networking was top-notch. We look forward to coming again next year!" Learn more about CanWEA's suite of six annual Awards that recognize wind energy leaders making outstanding contributions to Canada's wind energy industry. Download the newly-released Best Practices in Wind Power Facility Electrical Safety guide, which contains a range of resources for wind farm owners, operators, equipment manufacturers, and service providers that address this important topic from a Canadian perspective. It is an example of the tools and materials developed by CanWEA to benefit the operations and maintenance of Canada's wind energy industry. CanWEA's Wind Energy Grid Services Primer provides insights about advancements in variable generation integration, the key capabilities of wind power generation facilities when it comes to grid services, and market considerations to encourage continued success. CanWEA's O&M Summit is part of a broader CanWEA Operations and Maintenance Program that allows the wind energy industry to collaborate on areas such as benchmarking data, health and safety best practices, improved networking, innovation and research, and information sharing on critical issues such as wildlife and the environment. Canada had 6,596 wind turbines totaling 12,816 megawatts of installed capacity operating as of December 2018, with growth spurred by a 69 per cent decrease in wind energy costs since 2009 (Lazard 12.0), and costs forecast to continue decreasing over the coming years. CanWEA's Wind Energy Vision for Canada describes the expanding role for wind energy in a Canadian electricity grid being transformed to power a low-carbon future. Learn more about wind energy's competitive price, social and economic contributions, and the policy recommendations that Canada can take to capitalize on its massive renewable and non-emitting resource base.